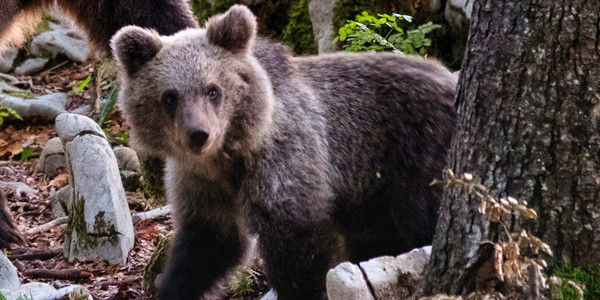 Demand justice for baby bear cub that was murdered in a barbaric way! A couple of police officers for the greater Sudbury area in Ontario should be dismissed after being called to a scene where a bear cub had been found laying on the side of the road by people driving past. It seemed as though the cub been hit by a car. A witness states that they called the police. Once on scene, the police officer didn't even give the bear a look and had stated that the bear had to be "discharged". The police officer then proceeded to pull out their rifle, and shoot the cub not once, not twice, but five times! The cub suffered severely after each shot, until it finally passed away in shock and agony. The Sudbury police should pay for their actions in which they took a life in such a cruel way. There are rehibilitation sanctuaries that this cub could have been brought to. No living thing should ever suffer like this. It is absolutely barbaric, and a disgrace. How disappointing is it to us as a society, to have people be able to just eliminate a beautiful life because it is an inconvenience for them. The witness states how they will be forever traumatized by the sound of crying and the image of the cub suffering and whaling around in pain. These police officers desevere more punishment then a slap on the wrist. Let's stand together, because this cub had to stand alone.